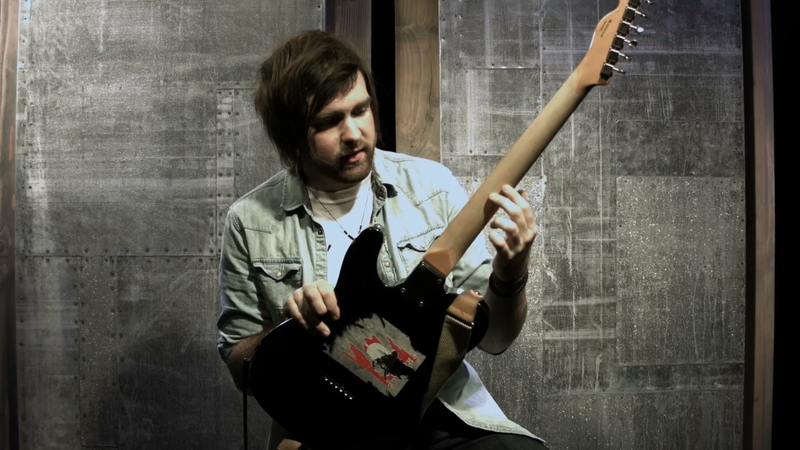 In this lesson, Mike talks through each of his guitars and when they are most applicable. He explains how different pickups and bodies affect tone. Michael runs through his own guitars with you. Probably the most versatile guitars (according to Michael), he can play anything from jazz to rock. They are pretty bright sounding guitars, not a lot of low end, a tight top end, and a lot of sparkle – especially if you use a heavy overdrive. They cut through a mix really well. There are a lot of telecasters out there so it’s really easy to find one and customize it. They are relatively inexpensive. Michael changed the pickups as often cheaper guitars have bad quality electronics in them. He put Lollar 52 pickups in his. He also changed the switch, volume and tone electronics with gear he bought from Emmerson Custom Guitars. You can also change out the bridge saddles. Make sure they are compensated saddles. Michael changed his to brass. Michael stripped the finish off the back of the neck, so it doesn’t get sticky when playing under lights.